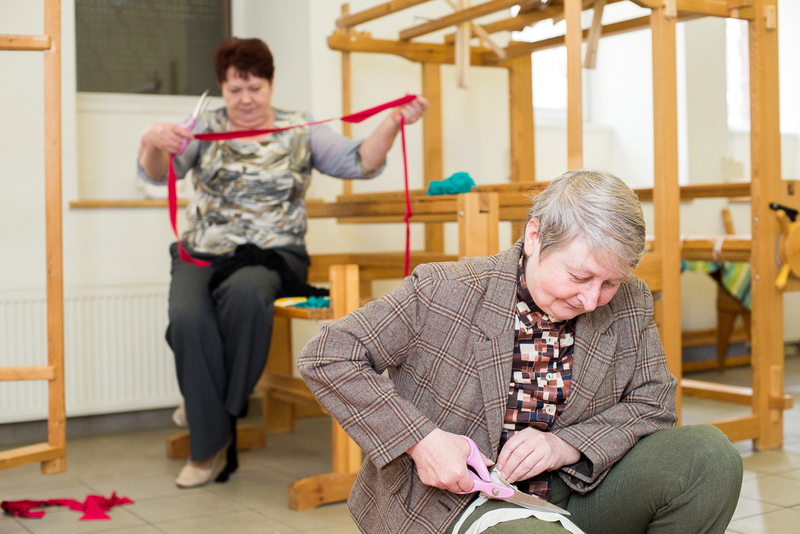 With this thought in mind Lude was created - a trademark for social enterprise that employs senior citizens and utilizes potential textile waste creating design rugs. It gives reason for retired people to get up in the morning and look forward to something, thus also saving a little bit of our green planet. 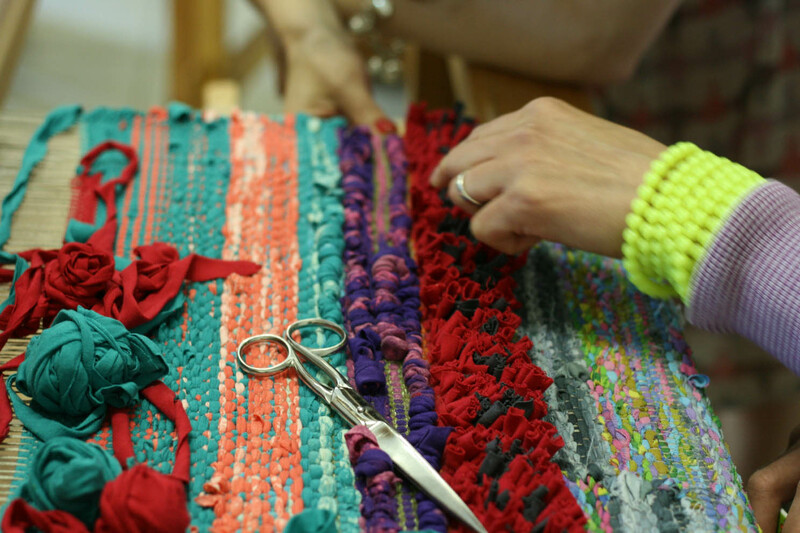 On old wooden weaving looms Lude employees create stylish and colourful rugs out of textile production leftovers and recycled garments. Every bit of the work process is done by hand, starting from sorting out the raw material, cutting it into strips and then weaving. You can imagine, how much warmth of the hands is put in every rug that comes out of Lude. A true design with good karma. Check out our webshop to find the right Lude rug for you or pre-order a tailor-made one. In the photo gallery you will see, how Lude rugs take on a life of their own. With good karma, of course..
Lude Rugs - The Magic of Weaving from Lude on Vimeo. Solvita Kostjukova and Zane Bojāre are the core of Lude. Two childhood friends, a mathematician and a philosopher, who have joined their forces, never-ending energy and love for their parents in creating a social enterprise. 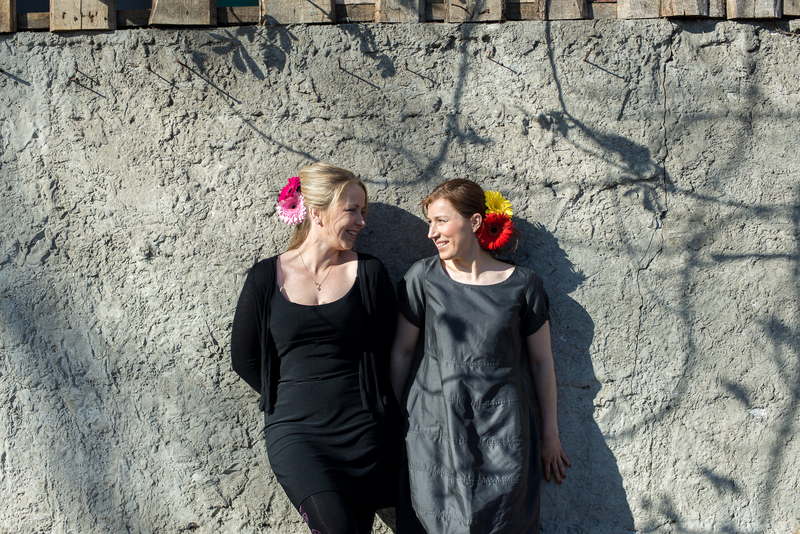 Biruta and Regīna are among the first Lude employees - a former kindergarten teacher and State official. Without any previos experience in weaving, they both have learned, how to turn textile scraps into beautiful rugs and love the creative and theraputic aspect of the weaving process. There are two designers helping the team. Daina Gāga takes care of the branding and overall design concept, whereas Lilita Bauģe develops design of the products and looks for new innovative ways to use potential textile waste. In August Liene Mingailite has joined the team and is developing product lines and innovative designs. Brigade, Otra elpa, ZIB*, Rosme, Hopen, Krāsu serviss, MAMMU, Homo Ecos, Riga Stradins University, Kalnciema quarter, Electrolux, Ārija Vītoliņa, Daina Gāga, Lilita Bauģe, Liene Mingailīte and many others. - create your own social initiative and get some good karma points!